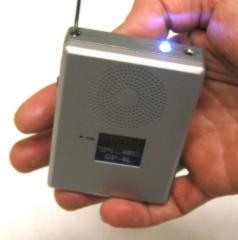 The County Comm GP-4L is a general purpose, 4-band shortwave receiver with emergency light. This entry was posted in County Comm, Portables and tagged County Comm, County Comm GP-4L, County Comm GP-4L Reviews, GP-4L. Bookmark the permalink.